Dr. Ciro de Quadros, Executive Vice President of the Sabin Institute, has published an op-ed in the Huffington Post discussing the power of vaccines in the fight against polio and other vaccine-preventable diseases. “Now is the time to harness the power of vaccines to end polio for good,” writes Dr. de Quadros, who says he is joining with hundreds of scientists, doctors and technical experts around the world to endorse the Scientific Declaration on Polio Eradication, and advocate for full funding and implementation of the World Health Organization (WHO)’s new Eradication and Endgame Strategic Plan, which provides a clear path forward to achieve polio eradication by 2018. A leader in the development of successful surveillance and containment strategies for the eradication of smallpox worldwide, and the director of successful polio and measles eradication efforts in the Americas before joining Sabin in 2003, Dr. de Quadros was Director of the Division of Vaccines and Immunization at the Pan American Health Organization (PAHO), and also served as the World Health Organization’s Chief Epidemiologist for the Smallpox Eradication Program in Ethiopia from 1970 to 1976. Dr. de Quadros says that as a former head of the PAHO’s immunization division, he knows firsthand that polio can be defeated with vaccines, having worked with thousands of health workers to eliminate polio from the Americas by 1994. He adds that WHO’s new strategic plan builds on lessons learned in that program, and includes improved strategies to overcome challenges on the last mile of polio eradication, such as missed children, vaccine refusal and political insecurity, as well as taking advantage of recent technological advances like GPS mapping that have greatly improved ability to track and respond to polio outbreaks. Named for oral polio vaccine developer Dr. Albert Sabin, the Sabin Vaccine Institute is a nonprofit organization made up of scientists, researchers and advocates who work to carry on with Dr. Sabin’s lifelong efforts to develop new vaccines for diseases that plague the world’s poorest people, and advocating greater access to existing medicines and vaccines. 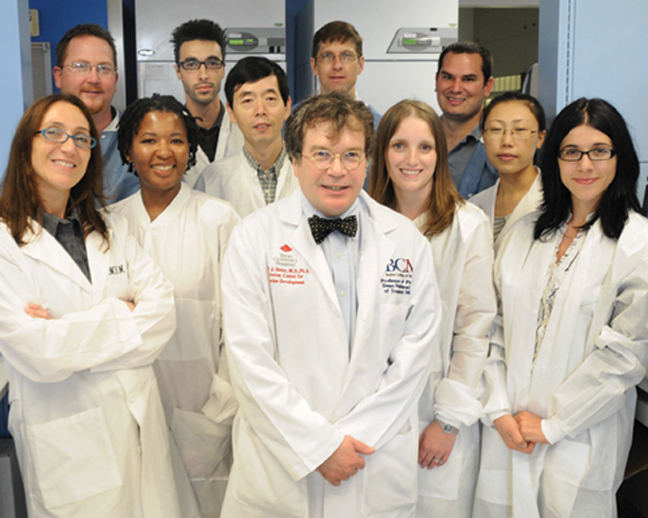 The entire vaccine development program of the Washington-based Sabin Vaccine Institute relocated to Houston in 2011 to establish the Sabin Vaccine Institute and Texas Children’s Hospital Center for Vaccine Development, located in the Ralph D. Feigin Research Center of Texas Children’s Hospital. This consolidation brought more scientists skilled in vaccine development to Sabin’s research programs, with representatives of BCM and Texas Children’s joining the Sabin Vaccine Institute’s Board. The collaboration represented a substantial expansion of efforts to develop and test vaccines for a range of diseases affecting low-income populations in the U.S. and worldwide, South Texas being one domestic center of focus. 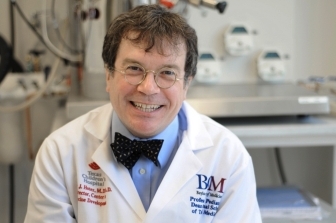 The relocation was also part of an agreement struck to recruit Sabin Vaccine Institute president and world-renowned neglected diseases expert Peter Hotez, M.D., Ph.D., to the Texas Medical Center. Dr. Hotez continues to serve as Sabin president at Washington, D.C., while in the Texas Medical Center he holds appointments as director of the Sabin Vaccine Institute and Texas Children’s Hospital’s Center for Vaccine Development, operated in partnership with Baylor College of Medicine’s pediatrics department. He is the Texas Children’s Hospital Endowed Chair of Tropical Pediatrics and serves as chief of the Section of Pediatric Tropical Medicine, Professor of Pediatrics and Molecular Virology & Microbiology, and the founding dean of the new National School of Tropical Medicine at Baylor College of Medicine. Dr. Hotez’s academic research focuses on vaccine development for a wide range of neglected tropical diseases around the globe, as well as studies to increase awareness about the neglected tropical diseases in developing countries and in the United States. He is also founding dean of Baylor’s new National School of Tropical Medicine that was launched upon his arrival at the Texas Medical Center. In his Huffington Post op-ed, Dr. de Quadros says that “ending polio will be the next major milestone against vaccine-preventable diseases,” noting that polio can be prevented with no more than a few drops or a quick stick with a vaccine, and cases are nearly unknown in most of the world.” However, while he observes that there were fewer polio cases in fewer countries in 2012 than ever before, and that 2013 is on track to show even better results, the disease continues to cripple children in poor countries where immunization efforts are not reaching everyone in need. Consequently, He calls for full funding of the plan up front – a projected US$5.5 billion through 2018 so that with assurance of funding through the projected date of eradication, the polio program can prepare for the long-term instead of being forced to fundraise year-to-year. Dr. de Quadros says that the WHO’s new strategic plan builds on lessons learned in that program, and includes improved strategies to overcome challenges on the last mile of polio eradication, such as missed children, vaccine refusal and political insecurity, as well as taking advantage of recent technological advances like GPS mapping that have greatly improved ability to track and respond to polio outbreaks. “We must capitalize upon the historic opportunity to eradicate polio. Success will eliminate an ancient scourge – and it will also demonstrate a global commitment to a future where children receive all of the vaccines they need and deserve,” Dr. de Quadros concludes.